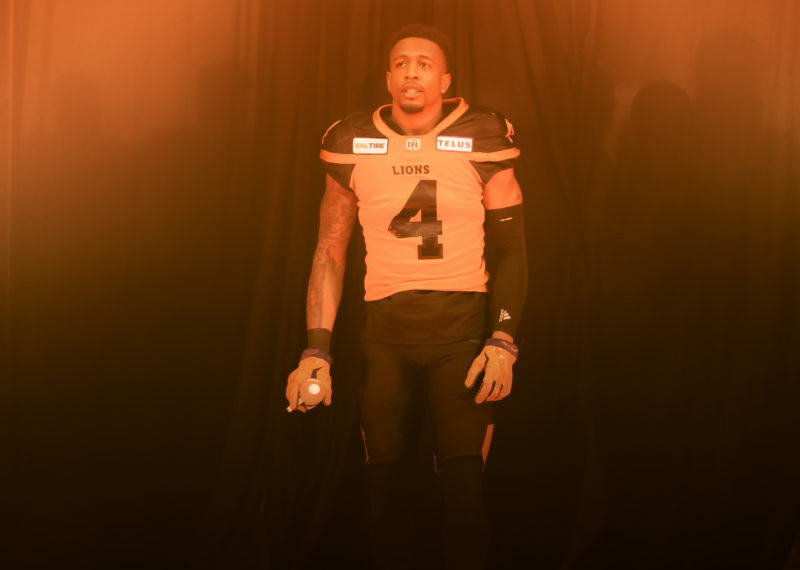 Following weeks of speculation by fans spurred on by teaser videos and rave reviews from opposition players at a recent TSN shoot, the BC Lions launched their new adidas jerseys on television stations across the city in dramatic fashion this morning. with orange accenting in 2016. The new home ensemble also gets a refreshed look up top as the Leos will wear a glossy black helmet featuring a futuristic-looking, smoked-chrome facemask. Saving more radical changes for its helmets, the club has removed their primary “BC” mark and replaced it with an updated, five-stripped lion’s head design. Removing the ‘BC’ mark also enables the ‘Lion’ to face forward on both sides of the helmet, which was critical to the overall theme of the new look. The club’s primary mark moves to a crest located below the rear numbers on both home and road versions of the jersey. The jersey numbers too will also reflect the six-decade and championship theme with subtle striping located at the base. Updates were also made to the club’s road look which features white jerseys with orange shoulder panels along with similar single-coloured numbers (orange), highlighted by orange pants and orange helmets with white decaling complete with pearl-white facemasks. What do you love most about our new look? 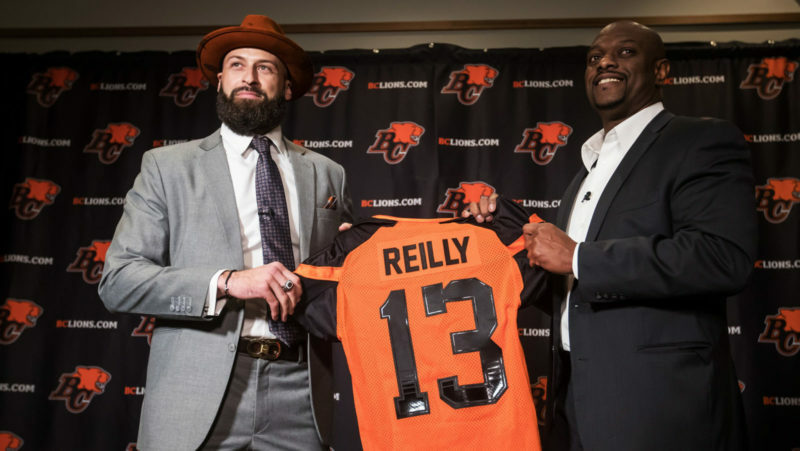 The club will debut its road jerseys during the preseason before donning their home threads for the first time in 2016 on June 25th against the Calgary Stampeders. 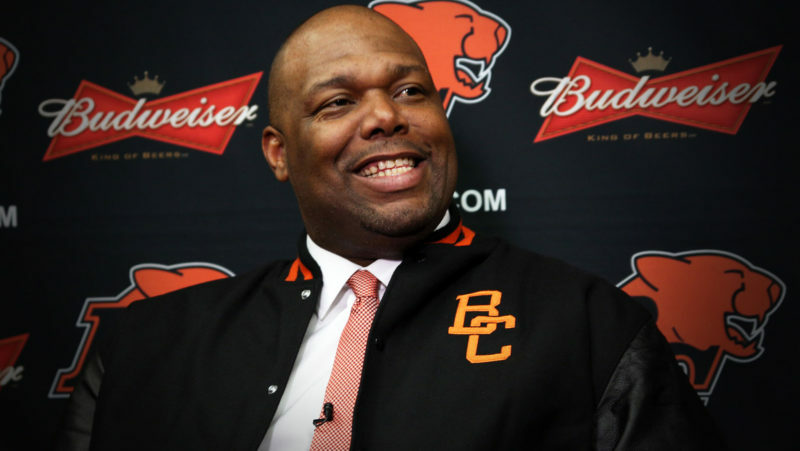 Fans can purchase both the new home and away jerseys by visiting store.bclions.com – season membership holders receive a 20% discount on all BC Lions merchandise.